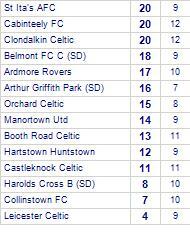 Park Celtic despatch Clondalkin Celtic. 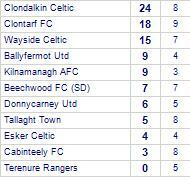 Clondalkin Celtic take all points from Wayside Celtic. 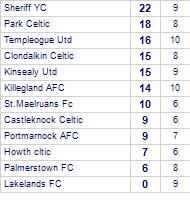 Clondalkin Celtic win against Kinsealy Utd. 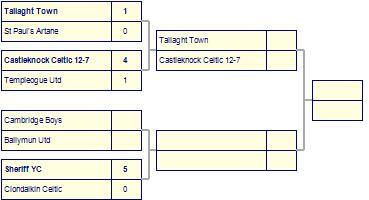 St Ita's AFC take spoils against Clondalkin Celtic. St Ita's AFC has yet to be beaten in this competition, having won 5 out of its last 7 games.